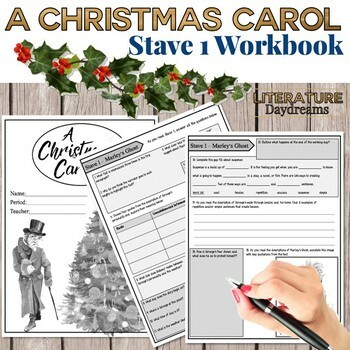 This comprehensive A Christmas Carol student workbook will help your students develop independent reading skills as part of your novel unit. 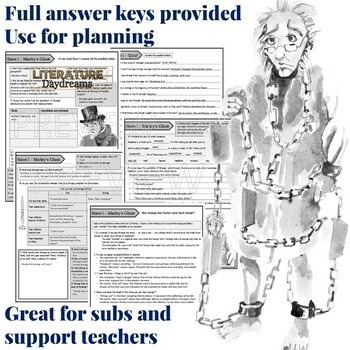 Use this Chapter 1 workbook to create notes on Dickens’ Christmas Carol. 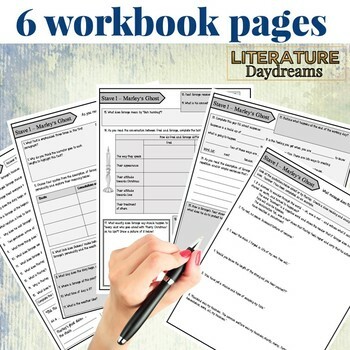 The workbook activities include comprehension, information retrieval, inference and analysis, exploration of literary techniques, quiz questions and creative tasks. 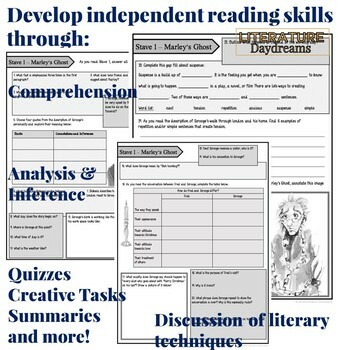 This workbook is perfect for any middle or high school ELA classroom. Don’t forget to leave feedback on your TpT purchases! You will earn TpT credits which means you receive discounts on your next purchase. Follow my store to receive updates here of all my new products and all my offers.